Deep Recovery is a powerful brain entrainment meditation tool that can form an essential part of an ongoing spiritual and healing practice. Deep Recovery consists of two 33-minute tracks of entrainment designed music created by master composer, Leigh Spusta. 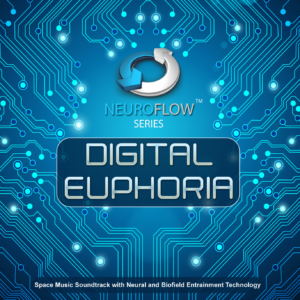 The first 33-minute track features a guided meditation and visualization by John Dupuy that lasts for about 12 minutes. The second track features the same powerful entrainment sounds but without the guided meditation. The guided meditation is designed to take you into the depths where healing and transformation happen. It is suggested that Deep Recovery become part of a daily, ongoing, internal transformational practice. To fully experience the potential of this program, please get comfortable, close your eyes and relax for the next 4 minutes. Allow the music soundtrack to immerse you in a deep sense of relaxation and peace. 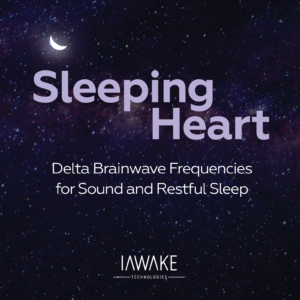 Another great addition to the iAwake library but this time with a guided meditation! Let me tell you that this guided meditation left me feeling more open and accepting as a human being. This is going to be great for those in recovery. What I found most interesting about this track is the electrical feeling that vibrated throughout my body. It felt as if some of it was coming from the soundtrack as well as the entrainment. A very transformative experience! "I love your work. I use iAwake every day myself and I am constantly recommending them to my patients. This evening I used the Spark tracks with a patient in a lot of pain that was just out of the ER and trying to come out of the anesthesia haze. After that I had a patient come in who has been using the Deep Recovery program as part of our work to recover from an opiate addiction, she's said it has been instrumental. Every day I see iAwake help my patients, family and friends on so many levels, and better yet I get to watch them grow and heal as they listen and meditate at home. Amazing. Load your Deep Recovery tracks into your smartphone, MP3 player, CD player, other portable media device, or from your computer. You will want these tracks accessible so you can use them wherever you are. Wear good headphones/ear buds as you listen to the tracks, whenever possible, for optimal results. Track 1 is very helpful for beginning meditators, as it has a voice-guided meditation to ease you into your inner work and get you into a deep transformational zone. It is optimal to use Track 1 in the early morning, as it sets a groove for your entire day. Track 1 is a continuous 33-minute track. Track 2 can be a standalone meditation. Please use either Track 1 or Track 2 as you feel intuitively guided. A good use of Track 2, especially in the early days of your recovery journey, is to listen to this one in the late afternoon or evening, which is often when we crave drugs and alcohol the most. Of course, you can use Track 2 at any time of day when cravings arise as well. If you are a Profound Meditation practitioner, add it to your transformational library - alternate with the Primary Meditation tracks - for instance, you might begin your meditation with 1 33-minute track of Deep Recovery, then play track 2 and/or track 3 of whichever tier you are working with. Today's neuroscience has taught us that the brain PRODUCES different types of brainwaves, such as when we are actively thinking vs. when we are more quietly focused, stressed, in deep meditation, or in the zone. With this brainwave technology, you have access to a training tool that facilitates the creation of specific brainwaves to support your healing and recovery process. Both Track 1 and Track 2 entrain the brain to a low alpha brainwave state (dynamic 8 – 13 Hz) and a theta brainwave state (dynamic 4-6.5 Hz). These are two extremely useful brainwave states to be entrained to in early recovery, as it is often past trauma, negative conditioning, or negative stories, conscious or unconscious, that we buy into about ourselves or our reality that create the conditions for relapse to occur. With Deep Recovery, we are given the tool and the opportunity to free ourselves from this limiting baggage from the past that keeps us unhappy and enslaved to our compulsive desires and cravings. When I started using Deep Recovery regularly as part of my daily meditation practice, it took my Integral Recovery Practice to a whole new level. Although I had already been sober for quite a while when I began using it and was not experiencing cravings, what I found was that I was developing personally at a depth I had never experienced! The personal development work I was doing was being integrated more fully and deeply, and I was astounded at how significantly my response to life was shifting, and I find now that I am calmer, far more able to respond to situations from a position of wisdom as opposed to reacting to them from identification with the mental scripts that previously ran my show, and I feel less stressed than ever before. Daily I have thoughts like, ""Wow! I have really changed!"" And people in my life notice it, too. Even my relationship to food has begun to shift, and I am experiencing far less stress around it and am finding it a lot easier to make healthy choices around diet and exercise without the need for the constant inner critic voices to motivate me. It just flows as a more natural part of who I am. Deep Recovery is my go-to foundational tool! As a psychotherapist, I meet people who have low self-esteem and limited awareness of their own beauty and potential because of negative life experiences. 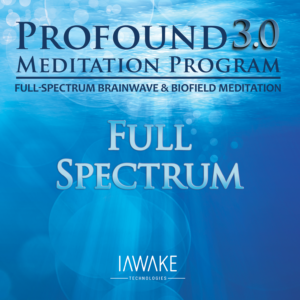 The combination of brainwave entrainment with the guided meditation provides a path toward healing from abuse, loss, low self-worth, and recovery from addiction-impaired parenting. WOW! This is a hell of a powerful guided meditation. The 8 minutes feel like they pack in several years of transformational work. I do feel transformed coming out of it, resting in the superb sounds of the entrainment music. John's voice is so wonderfully steady and rhythmic, leading one through all the important stages of healing and letting go. I remember when this was first created, I listened to it and had the same thought as today: that if I listened to this every day, I would be well and truly transformed. John Dupuy is the author of the award-winning book, Integral Recovery: A Revolutionary Approach to the Treatment of Alcoholism and Addiction, and CEO and chief practitioner of iAwake Technologies. He has been working personally and professionally with brainwave entrainment technology since 2004, and has developed a passion for the power and efficacy of brainwave entrainment technology to support the healing of mental health and addiction recovery issues, deepen spiritual growth, and support an increase in attention and focus in business, academics and athletics. Leigh Spusta a behavioral scientist, hypnotherapist, and Certified Therapeutic Imagery Facilitator specializing in the use of sound frequencies to produce deep, relaxing trance states. His work has become internationally recognized, enjoyed by thousands around the world. Leigh combines his talents as a musician and his knowledge of hypnosis and related states, to pioneer new approaches in creating rich, resonant sound-scapes for greater efficacy in healing and meditative products. If you are not completely impressed with Deep Recovery, let us know within the first 90 days, and we’ll gladly give you a full refund.